How To Make Your Software Successful with Software Reviews Website? Home > Software > How To Make Your Software Successful with Software Review Website? ⇒ Why is Software and Product Review Sites Important? ⇒ How can you list your software on a product and software review website? ⇒ What Are The Top Software and Product Review Websites? Buying and selling have become extremely easy with the help of reviews. One cannot deny the fact that about 90% of the customers today are looking into the product review sites before buying a product online. It is easier for customers to buy a product that has reviews based on performance and other aspects. Customers trust reviews of other customers who have already purchased the product. With the emergence of software review sites, B2B and SaaS software buyers are now preferring to read the reviews and details of the product before buying. With numerous software review sites in the market, buyers tend to research online about the product before even contacting the seller of the product. Why is Software and Product Review Sites Important? For instance, a customer purchased a product online. He later is disheartened after using the product and wants to return it to the seller. But the window of return is closed. Thus his investment in the product was a loss for him. It would have been better if the customer had a chance to read online reviews about the product before buying it. It would have saved him from incurring a loss. Consumers check software review sites before choosing a software. A mixture of positive and negative reviews brings in more authenticity to the product or software. It increases the trust of the buyer. Rather than a small scale or medium scale business, large-scale businesses tend to check saas reviews sites before opting to buy a product or software. It is necessary for software and product companies to list their products and software on B2B software review sites. It helps in reaching to a bigger crowd of consumers as the review sites are often ranked high in the google list. Consumers who search for B2B software and products, find these reviews sites at the top. They are more likely to go through these websites and look for the software and read the reviews before purchasing. How can you list your software on a product and software review website? With rising software review and ratings in the market, it is a necessity to find the top-rated or most popular software and product review websites. Review websites have a paid section for sponsors. It acts as an add posting on the page. The paid listing gives an edge over the rival software listed on the website. A good review does wonders. You can ask your loyal customers to review your software or product. You can add the reviews under various points such as effectiveness, pricing, ease-of-use, features, etc. When you make your B2B SaaS software accessible with most of the functions for trials, you allow review sites to use and access it. Software review sites, list it with rising momentum of the customer reviews. What Are The Top Software and Product Review Websites? G2 Crowd is one of the leading software reviews and rating site of the world. With more than 160,000 reviews and ratings on the latest software, it leverages over the other review sites. It gives transparent and honest reviews to the software and products. Reviews about products on this website are often by trusted consumers. It helps in taking the best business decisions. Enterprise technology investors, analysts and buyers use the website to compare and choose software and products based on peer reviews. With the help of technologists and software analysts, G2 Crowd provides the perfect verdict on each software and product listed on it. Businesses find it as an opportunity to get listed on G2 Crowd as it alters and changes the business scenario of the company. Capterra is one of the most popular Saas review sites that give consumers an insight into the latest and trending B2B software available for the business. It is owned by Gartner. 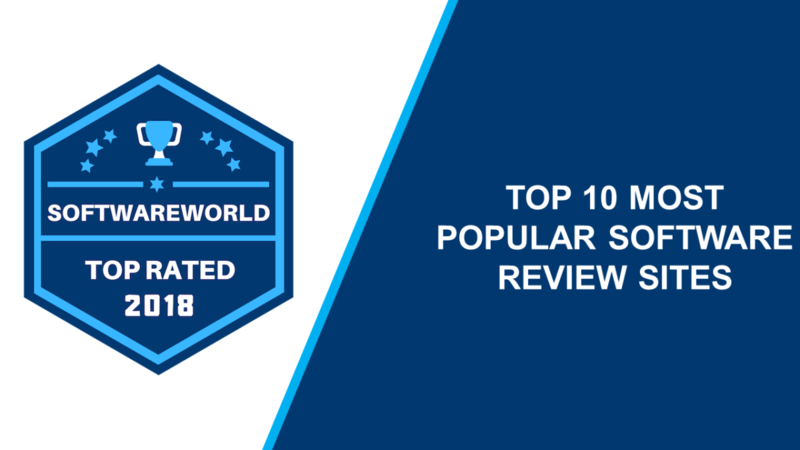 With over 5 million reviews and 300+ categories in the website, Capterra provides the recommendation about the top-rated Saas software in each category. It has blog posts, buyer’s guide and user reviews for consumers to select the perfect Saas software as per their needs. It is a Saas software directory that allows inspecting different Saas software listed in the website before buying. Being a Gartner owned company, It helps the customer figure the best-suited software solution for their enterprise. SoftwareAdvice is a comprehensive platform that provides honest and truthful reviews form the original users. It allows customers to have product comparison and gives opportunities to software vendors to be in sync with the potential customers directly. With over 390 detailed software guides that include thorough descriptions and reviews, SoftwareAdvice covers the aspects of ease of use, functionality, quality and support. It also provides screenshots to show customers the user interface of the software. It is one of the fastest growing B2B software solutions review websites. It is the platform where clients can find the software and the services. It offers consumer to compare software and provides a brief of the software price, functions and features. The reviews prepared by a team of experts in the B2B software analysts help the consumer choose wisely. For consumers, FinancesOnline acts as a handy comparison tool. SaaSGenius helps in searching software options, designed for online use. Users submit reviews to the website. The submissions get evaluated before being posted. It works with companies and integrates a wide range of third-party services. Consumers find a complete directory of Saas products, covering all the basic information, pricing, alternatives, reviews and comparisons. SaaSGenius allows a consumer to compare and discover new business tools. The reviews are based on a unique submission system and guarantee unbiased information. Vendors are allowed to add their products and services to the website for free. With over 3000 apps in the review section, GetApp helps small and medium scale businesses search, compare and review business software. GetApp is a Gartner company. The review process is considerably quick in comparison to other review sites. It is a software advisory website with software tools listed on it for review. Amongst all the categories, the most popular ones are the CRM, collaboration tools, Finance and Accounting, HR and Employee, Integral Solutions, Project Management, Marketing, Business Intelligence and Analytics, etc. It is a crowdsource reviewing site that provides guaranteed tech feedbacks for the various businesses. It is an instantaneous platform and has dynamic research results. Feedback or review is verified by the site as well as the reviewer before publishing on the website. The website is an unbiased perception of users that have already used the tools available to be reviewed. It is a business software review website allowing businesses to search Saas solutions software. It helps consumers to compare different categories, like business intelligence, marketing tools, automation tools, sales intelligence, etc. It has a free product listing option for software companies. It helps both the vendors and the buyers. This website allows products to gain momentum in due course with the exposure in the product market. It allows buyers to have better product purchasing decisions. TrustRadius is an unbiased platform with genuine reviews and in-depth buyer’s guides. It is similar to G2 Crowd. Reviewers of this website are authenticated and give detailed reviews and insights about every product or software listed on it. It is one of the fastest growing software review listing firms. It provides authenticated reviews and researches on prevailing software trends. GoodFirms covers more than 6000 software service companies. These are the top 10 most popular software and product review websites of 2018. If you have any relevant suggestion to include into this post, please let us know through provided comment box. Thanks for staying with us. SoftwareWorld is a leading software review and rating website to find the best software for your business. You can find different types of software to increase your business productivity and revenue.